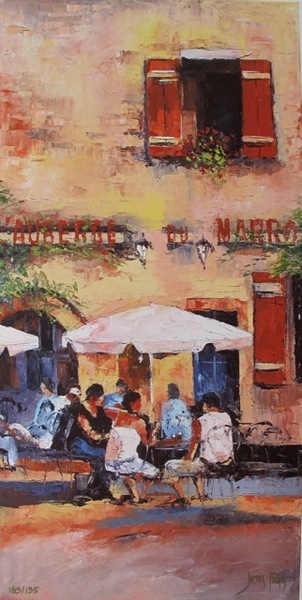 This is a gorgeous limited edition original hand signed giclee on canvas by James Pratt titled L’AUBERGE DU MARRO. This is a gorgeous limited edition original hand signed giclee on canvas by James Pratt titled LE PORTE. This is a gorgeous limited edition original hand signed giclee on canvas by James Pratt titled TUSCAN DOORWAY.